Are you transitioning out of the military and looking for a new civilian career in the best small to mid-sized cities in the U.S.? Livability.com ranked more than 2,000 cities with populations between 20,000 and 350,000 to come up with their third annual Top 100 Best Places to Live. Livability.com collaborated with new data partner EMSI and their own board of advisors in shaping the framework by which they ranked the cities. 1. David Weekly Homes Positions in Denver, CO.
Positions Available: David Weekly Homes is hiring Construction Superintendents / Builders in Denver, CO.
About the Company: David Weekley Homes is the second largest privately-held builder in America. About the Location: Denver is just 28 miles from Boulder, CO which is ranked #5 on the top places to live in 2016 according to Livability.com. Boulder is situated along the Rocky Mountains and sitting 5,400 feet high, is home to the University of Colorado and all its arts and cultural offerings. Numerous outdoor attractions provide plenty of hiking, rock climbing, mountain biking, and fishing opportunities. Boulder has several shopping centers and a strong farm-to-table restaurant scene, and dynamic arts and cultural attractions. Each season brings more things to do in Boulder. Learn more about Construction Superintendent / Builder positions with David Weekley Homes, visit us online. 2. 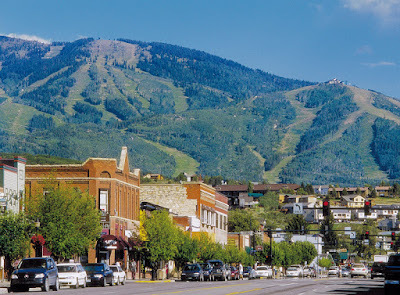 HSB Global Standard Positions in Fort Collins, CO.
Positions Available: HSB Global Standard is hiring Boiler and Machinery Authorized Inspector (Trainee) Positions in Fort Collins, CO, which is ranked #13 on the best places to live in 2016 based on livability.com. About the Company: HSB Global Standards is a worldwide leader in the interpretation and application of boiler and pressure vessel codes, standards, directives and customer specifications. About the Location: Fort Collins is a mid-sized college city, north of Denver and alongside Roosevelt National Forest, and home to Colorado State University. From its thriving microbrewery industry anchored by the New Belgium Brewing Co., to its mountain views and hiking trails, Fort Collins has an enticing assortment of amenities that draw people to relocate here. 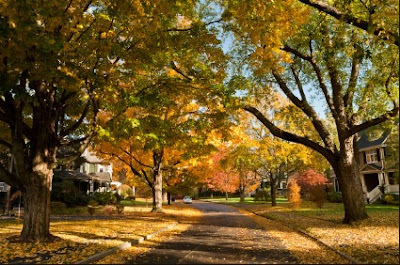 It has also been picked as one of the Healthiest Cities by Livability.com. Learn more about the Boiler and Machinery Authorized Inspector Positions available at HSB Global Click Here. 3. Foley Equipment Positions in Kansas City, KS. Positions Available: Foley Equipment is hiring Industrial HVAC Field EPG Technicians and Mechanics in Kansas City KS. About the Company: Foley Equipment is a rapidly growing company with outstanding history in the industrial equipment industry. Since 1942, Foley has earned a reputation for dedication, quality and value. 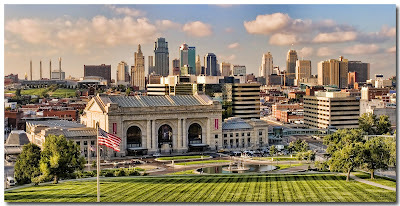 About the Location: Overland Park is the second-largest city in Kansas, and attracts families and young professionals. Smart planning by city leaders has given Overland Park an ideal balance of residential, office and retail spaces. With top ranked sports, excellent schools, many amenities and infectious civic pride, the city continues to improve. Check out other positions Foley Equipment is hiring for: click here. 4. Suburban Propane Positions in Rockville, MD. Positions Available: Suburban Propane is currently hiring Operations, Service, and Facility Managers in Rockville, MD. About the Company: Suburban Propane is one of the nation's leading marketers of an array of products to meet the energy needs of its customers, specializing in fuel oil and refined fuels, as well as the marketing of natural gas and electricity in deregulated markets. About the Location: Rockville, MD., ranked 17th on the best places to live in 2016 by Livability.com. Innovative biomed and technology companies lead the local economy, and the quaint character and excellent schools appeal to many. 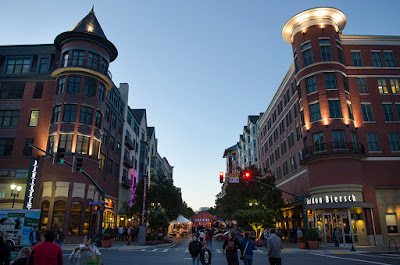 Rockville’s Town Square area features more than 50 shops and restaurants, with year around city and street festivals. Learn more about careers for military with Suburban Propane, visit us online. 5. Mettler – Toledo Positions in Boston, MA. About the Company: Mettler-Toledo is a global supplier of precision instruments, with sales and service locations in 37 countries. The Mettler-Toledo Product Inspection Division, consisting of CI-Vision, Hi-Speed and Safeline, and Eagle Product Inspection, is the world's leading supplier of in-line checkweighers, metal detectors, machine vision systems and x-ray inspection systems. About the Location: Boston is just 11 miles outside of Newton, MA which is ranked #42 on the best places to live list, according to Livability.com. Newton has a collection of historic homes, highly ranked schools and unique neighborhoods. Newton is especially appealing to those who want to live near Boston, but also enjoy a small-town vibe. The city contains a patchwork of 13 villages, each with their own commercial centers, parks and identities. Residents and city leaders focus on making Newton one of the Best Cities for Kids, as ranked by Livability.com. Positions Available: Orion is currently recruiting for Field Operations (Associate, Specialist, Team Lead), Electronic Assembly Technicians, Operator Specialists, Electronics Lab Technicians, and Test Vehicle Operators with Adecco, for positions in support of Google projects. These positions are located in Mountain Views, CA. About the Company: Google was founded in 1998 by two computer science students in a university dorm room. Over the years, Google has grown by leaps and bounds. From offering search in a single language Google now offer dozens of products and services—including various forms of advertising and web applications for all kinds of tasks. This is your chance to begin your career with one of the world's most recognized and respected companies and have the opportunity to work on project teams that are developing new technologies, or upgrading existing platforms to the next generation. About the Location: Mountain View made the list at #77 best places to live. Named for its great view of the Santa Cruz Mountains, Mountain View is part of Silicon Valley and home to numerous high-tech companies, led by Google and its 11,000 employees. The median income for families is more than $120,000, and the city’s primary cultural area is its downtown district along Castro Street. Shoreline Park is a popular gathering spot thanks to an amphitheater and golf course, and El Camino Hospital tends to the medical needs of many residents. 7. Ericsson Positions in Santa Clara, CA. Positions Available: Ericsson is currently hiring former military for Horizontal Directional Drilling Operators, Locators, Field Surveyors, and Laborers in Santa Clara, CA. About the Company: Ericsson is a world-leading provider of telecommunications equipment & services to mobile & fixed network operators. Over 1,000 networks in more than 180 countries use Ericsson equipment, & more than 40 percent of the world's mobile traffic passes through Ericsson networks. About the Location: Santa Clara, CA is ranked #97 on the best places to live list due to its excellent health-care and educational systems, a diverse collection of housing, and lots of amenities. Santa Clara has been on the Top 100 Best Places to Live list for three straight years. An average of 300 days of sunshine each year gives residents plenty of opportunity to enjoy recreational facilities, parks, and historical architecture. To learn more about the positions Orion is hiring for at Ericsson click here. If you’re interested in living in one of the top cities in the U.S. and interested in working for our featured employers, check out our current opportunities with Orion or contact us for more information! 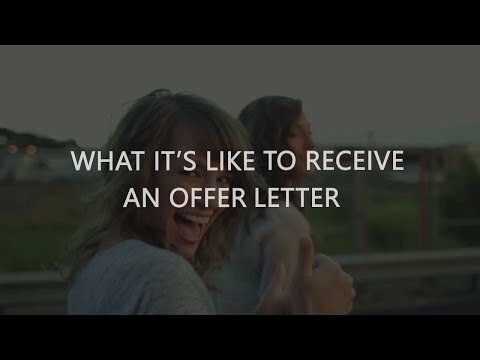 You can also connect with an Orion recruiter in your area that can help you in your career transition! The best places to live list is based on Livability.com research on more than 2,000 cities, so every city on this list is in the top 5 percent of livable communities in the U.S. Check out more at http://www.livability.com/best-places/top-100-best-places-to-live/2016.